It looks like my old favorite for the best cup of coffee in San Miguel de Allende, El Cafe de la Mancha, now has competition. I discovered Cafe Oso Azul the other morning, and I was impressed. One of the partners owns an organic coffee plantation in Veracruz, and Cafe Oso Azul roasts its own beans every few days, and you can absolutely tell the difference in their coffee. I was so impressed with the coffee being served Cafe Oso Azul that I even forgot to take a photo! Now, usually places that have superior coffee often serve sub par food, but not at Cafe Oso Azul. The breakfast was stunning. 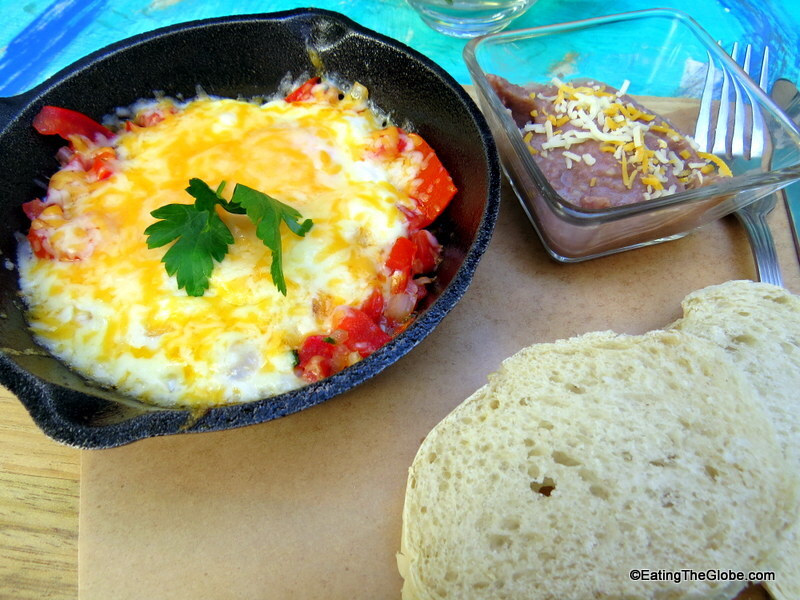 It started with a beautiful fruit plate, and then I chose the Mexican-style cast iron skillet eggs. They were covered in a glorious amount of cheese, and served with refried beans and bread. The presentation was beautiful, and the best part? My entire breakfast which included two Americanos was only 75 pesos (about $5 USD). They also offer items for breakfast such as Quiche, soups, omelets, and terrific sounding smoothies. 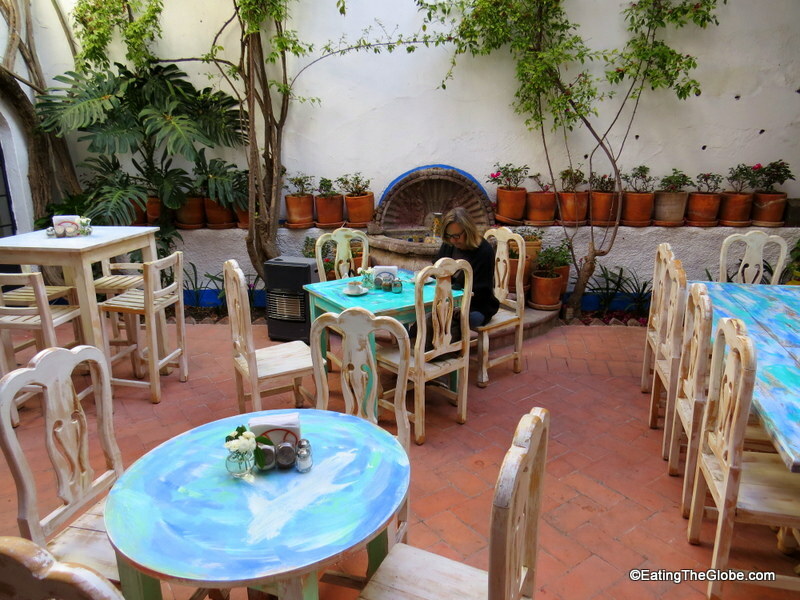 Sitting in the cute courtyard was a great way to spend the morning, and the Danish owner, Jens, has a personality that will cheer you right up. You can even order your coffee made by Aeropress or pour-over if you so choose. Cafe Oso Azul also serves lunch, so I plan to try that next. (Yes, they have a cured salmon plate!) They also have incredible looking pastries for those of us with a sweet tooth. But, yeah, it’s the coffee I’m still dreaming about, and I’d have to say, they serve what I now consider the best cup of coffee in San Miguel. 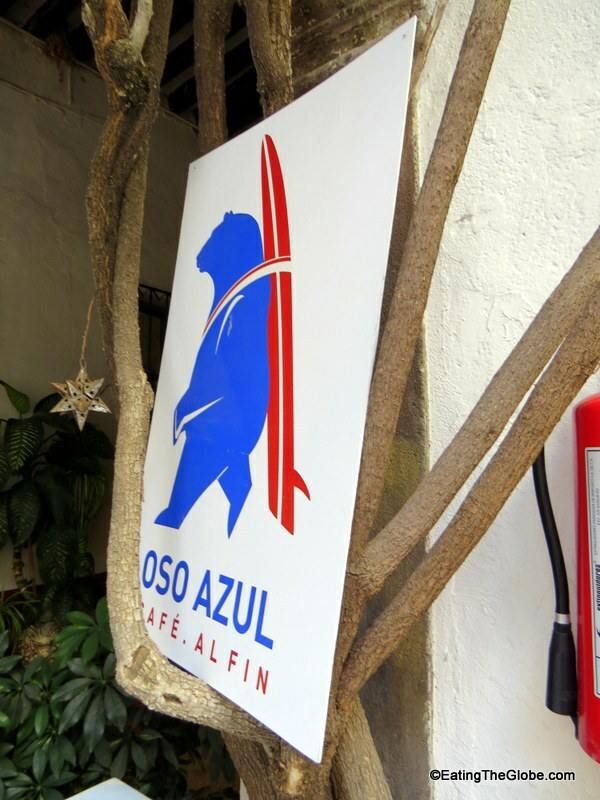 Cafe Oso Azul is located at Zacateros 17 and is closed on Wednesdays, but open the rest of the week from 8 am until 5 pm. 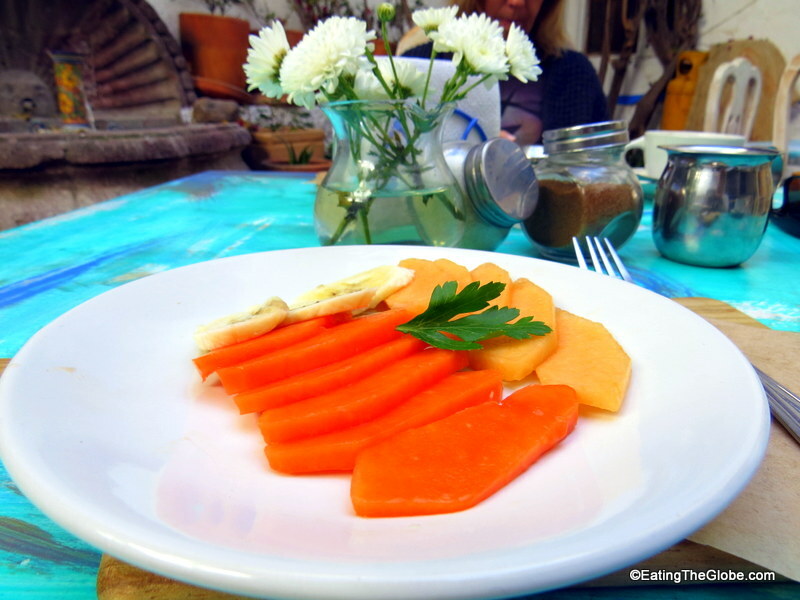 One Response to "Cafe Oso Azul-Awesome Coffee And Breakfast In San Miguel de Allende"
When I see eggs & a cast iron skillet with all that cheese, I get a little light-headed! 🙂 They are doing it right! The aeropress is icing on the cake.